At the annual shareholders meeting of Carnival Corporation & plc held yesterday in Miami Beach, Fla., shareholders elected a new member to the company's board of directors – Debra Kelly-Ennis, president and chief executive officer of Diageo Canada, Inc. Kelly-Ennis will serve in a non-executive capacity on Carnival Corporation & plc's 14-member board, effective immediately. She will also serve on the board-level Health, Environmental, Safety and Security Committee. Additionally, Uzi Zucker is retiring from the board of directors after 25 years of service. As a result of his retirement, Arnold Donald and Richard Glasier have been appointed to the Nominating and Governance Committee, and Stuart Subotnick to the Executive Committee. “Debra Kelly-Ennis is an excellent addition to our board with extensive marketing and practical managerial experience gained through 30 years working with highly successful consumer brands," said Micky Arison, Carnival Corporation & plc’s chairman and CEO. "At the same time, I would also like to thank and acknowledge the contributions of Uzi Zucker during his long tenure as a member of our board," he added. Arison noted that Zucker has been designated director emeritus by the company’s board. Since 2008, Kelly-Ennis has served as president and chief executive officer of Diageo Canada, Inc., a subsidiary of Diageo plc, a global spirits, wine and beer company. Prior to that, she was chief marketing officer for Diageo North America Inc., another subsidiary of Diageo plc, for three years. Kelly-Ennis has also held marketing, sales and general management positions with leading companies such as RJR/Nabisco, Inc., The Coca-Cola Company, General Motors Corporation and Grand Metropolitan plc. She has been honored as one of the Top 100 Most Powerful Women in Canada for the past three years in a row and was named Leading Chief Executive Officer in 2010 by the Toronto Human Resources Professional Association. 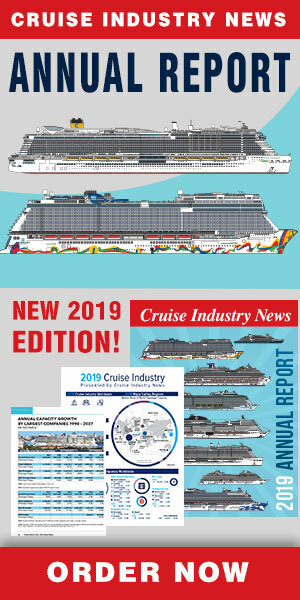 Carnival Corporation & plc’s board of directors also approved a quarterly dividend to holders of Carnival Corporation common stock and Carnival plc ordinary shares of $0.25 per share. The board approved a record date for the quarterly dividend of May 25, 2012, and a payment date of June 15, 2012. Dividends payable in sterling will be converted from U.S. dollars at the exchange rate quoted by the Bank of England in London at 12 noon on June 1, 2012. Holders of Carnival plc ordinary shares wishing to receive their dividend in U.S. dollars or participate in the Carnival plc Dividend Reinvestment Plan must elect to do so by May 25, 2012.